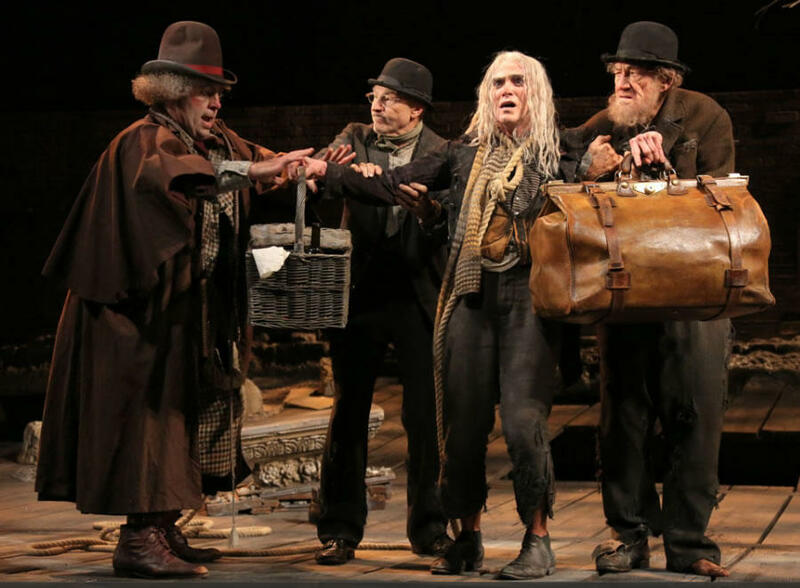 Shuler Hensley, Patrick Stewart, Billy Crudup, and Ian McKellen in "Waiting for Godot"
Sean Mathias directs the same cast of four in the two plays which began previews on Broadway in October of last year. The run has been extended twice and will end on March 30th. 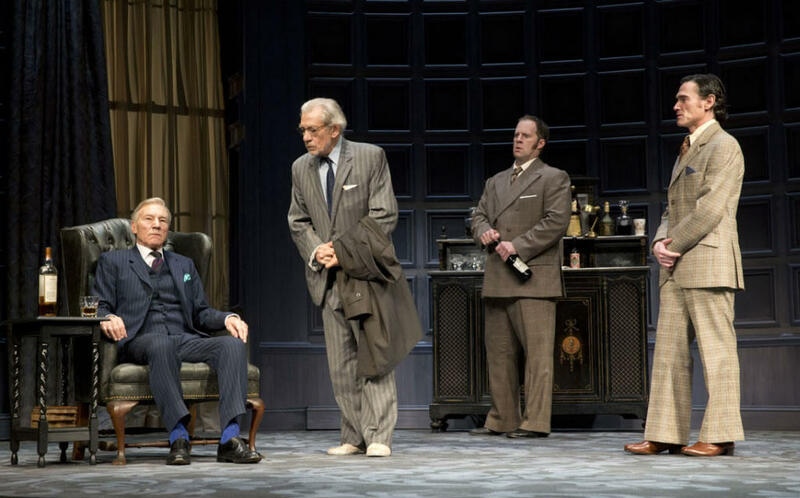 In performances that have critics breaking out the most effusive and glowing adjectives in praise of craft and entertainment - Sirs Ian McKellen and Patrick Stewart are joined by Schuler Hensley and Billy Crudup. (Godot also features two young actors alternating the role of “Boy” - Colin Critchley and Adian Gemme). 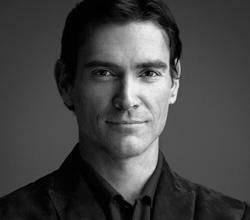 Billy Crudup plays Foster, a cocksure aggravated type in No Man’s Land and Lucky - a servant with a depleted soul in Waiting for Godot. Patrick Stewart, Ian McKellen, Shuler Hensley, and Billy Crudup in "No Man's Land"
Crudup’s previous Broadway credits include Arcadia, Bus Stop, The Three Sisters, The Elephant Man, The Pillowman, and The Coast of Utopia - for which he earned a Tony Award in 2007. His film credits include Almost Famous, Big Fish, Watchmen, Public Enemies, and Eat Pray Love. Stephen Lang is a Tony Award-nominated American actor and playwright who is also well known for his film work - including his roles as George E. Pickett in Gettysburg, Stonewall Jackson in Gods and Generals, Colonel Quaritch in Avatar and many others. This Sunday at 4pm The Chatham Film Club and the Columbia County Historical Society present an exciting combination of theater, film and music that tells the story of the Battle of Gettysburg through the eyes of Union officer and Medal of Honor Winner James Jackson Purman. The program features a one man show written and performed by Stephen Lang, original music composed by Robert Kessler and performed by virtuoso double-bassist Timothy Cobb, and the a screening of the short film The Wheatfield, written and performed by Lang, and directed by filmmakers, Alexander and Adrian Smith. The program is hosted by historian Harold Holzer.